How to select Cross-sell & Up-sell fallback? If you have not manually selected items to show up on your Cross-sell or Up-sell box, there is a fallback option. Our Cross-sell & Up-sell features are great ways for store owners to manually select what they wish to showcase. However, there are times when particular products don't have a specific set of cross-sell or up-sell items selected. What does the boxes show when that happens? 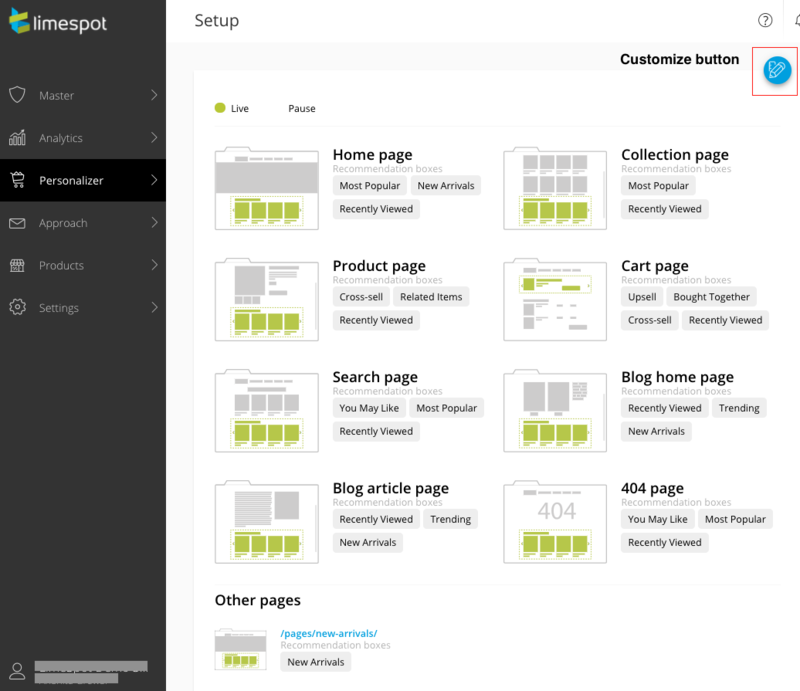 Step 1: Go to your LimeSpot Personalizer Admin Panel > Setup and click on Customize on the top right. 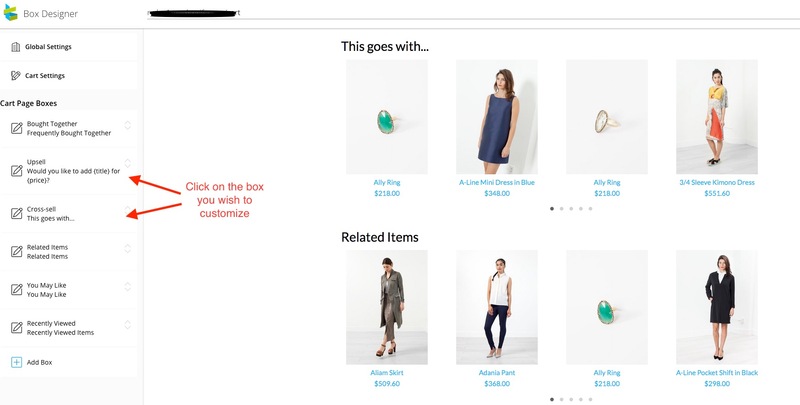 Step 2: In the Box Designer, you may head over to the page where the Cross-sell box or Up-sell is enabled. Cross-sell box is available only on the product and cart pages. The fallback options for the cross-sell box is to "Hide Box" or "Show Collection". Upsell box is available only on the cart page. Its fallback options are "Hide Box", "Show Popular", "Show Trending", "Show Related", and "Show Bought Together". Tip: If your store is new, we might not have enough sales history to recommend products bought together. Therefore, we would NOT recommend selecting "Show Bought Together" as a fallback option if your store is new / doesn't have much sales.